“Bridge Over Railroad Tracks at Ox Road,” braddockheritage.org/, accessed April 24, 2019, http://braddockheritage.org/items/show/57. 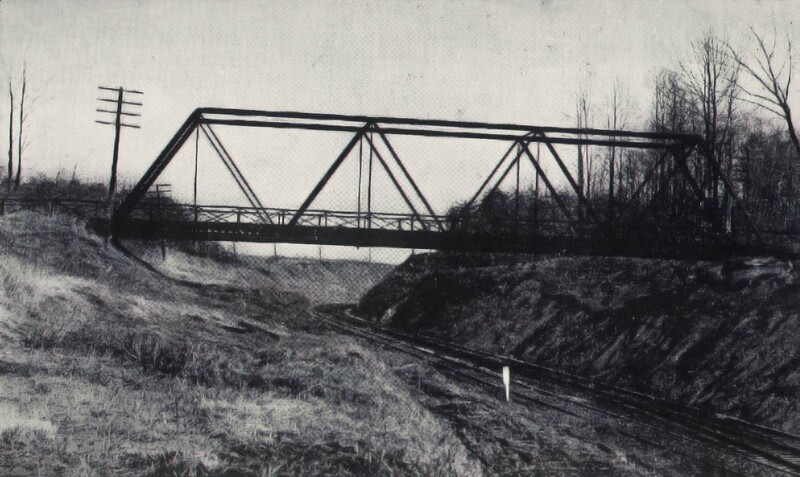 This steel truss automobile bridge carried Ox Road over the railroad tracks near Fairfax Station. 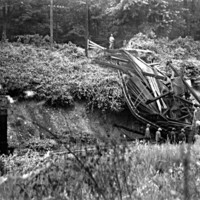 On June 4, 1944, the bridge collapsed while an Army truck from Ft. Belvoir was crossing the span, killing Pvt. Robert V. Hamilton of Stanley, Kentucky. Thirteen other soldiers were injured in the accident. 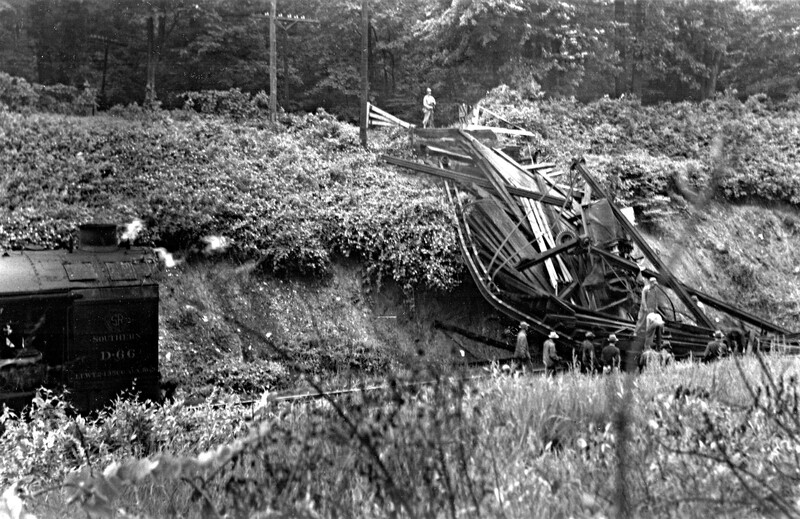 The first picture shows the collapsed bridge and truck on the railroad tracks. The pre-collapse picture was taken circa 1930.